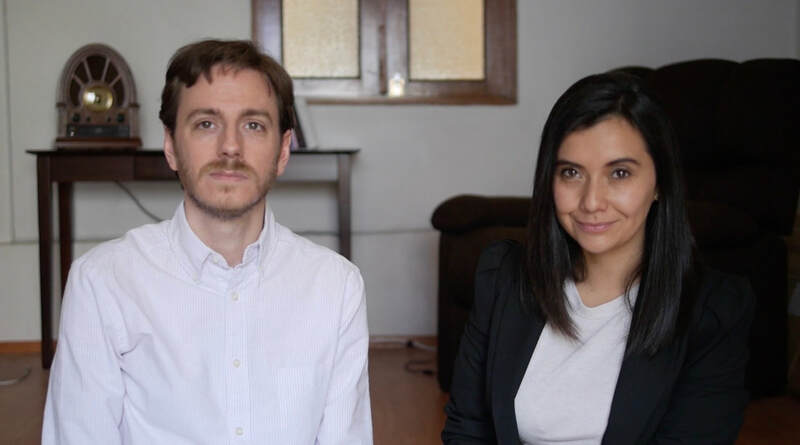 The Red Note director Craig Whitney and producer Estefania Bonilla Hernandez spoke with the Women's Media Center's publication The Fbomb last week to discuss the development of their film about the disappeared women of Ciudad Juarez, Mexico. Visit DONATETOTHEREDNOTE.COM and make a contribution to support the production of The Red Note and help us bring the story of the disappeared women of Juarez to the world! Our team includes filmmakers from countries around the world: Colombia, Brazil, France, Mexico, New Zealand, the United States, and Uruguay. This international team sends a powerful message of cooperation at a time when relations between the US and Mexico have been tested by politics. And in the wake of the #MeToo movement, The Red Note's examination of the femicide in Mexico -- and the many women filmmakers who are telling this story -- could not be more timely. This is a unforgettable story that deserves an equally unforgettable film. But to ensure the stories of the women of Juarez are heard, we need your support. Please join us by making a tax deductible contribution through our fiscal sponsorship with the 501(c)(3) non-profit From the Heart Productions and help us bring The Red Note to the screen. ​Together, we can shine a light on this vital issue and ensure that the stories of women in Juarez – the victims of violence, the disappeared, and the survivors – are never forgotten. Better Archangel Pictures is pleased to announce a partnership with the Film Festival Collective to present The Garden and the Wilderness streaming on demand to XFINITY subscribers in the eastern U.S. The entire program is curated by the Atlanta Film Society (ATLFS), which operates the Academy Awards-qualifying Atlanta Film Festival. The Garden and the Wilderness was produced by Stephanie Huettner and written / directed by Craig Whitney. The film premiered at the 2011 Rome International Film Festival and was chosen by the Houston Film Commission for its Texas Filmmaker's Showcase program in 2013, honoring the year's best Texas short films. The Garden and the Wilderness screened at more than a dozen festivals across the U.S. and around the world, including the Dallas Video Fest, the Houston Cinema Arts Festival, and the Portobello Film Festival in London. The film is also available to download from iTunes, Amazon, and VHX. The Film Festival Collective is an XFINITY On Demand program that features short films and other quality content from a variety of film festivals across the eastern half of the United States, including the Atlanta Film Festival, Charleston International Film Festival, Indie Memphis Film Festival, Miami International Film Festival, Nashville Film Festival, Oxford Film Festival, and Ozark Foothills FilmFest, which screened The Garden and the Wilderness in 2014. The program spans across in thirteen states, available to millions of XFINITY customers in Alabama, Arkansas, Florida, Georgia, Illinois, Indiana, Kentucky, Louisiana, Michigan, Mississippi, South Carolina, Tennessee, and Virginia. The Garden and the Wilderness and other films featured on the Film Festival Collective will be available at no-cost to XFINITY subscribers within the region. The program is available on both the original Comcast On Demand platform as well as the new X1 platform. With X1, subscribers can access content using voice commands on their X1 remote. On their way from the Production For Use launch party to the NALIP's Texas Film Fiesta at SXSW, producer Stephanie Huettner and director Craig Whitney discuss lessons learned from making their short films Harvest Home and The Garden and the Wilderness for the Houston Film Commission. The screenplay for Craig Whitney's upcoming film, The Red Note (La nota roja), has been named as a quarterfinalist in the Diversity category of the Cynosure Screenwriting Awards. Based on the real life story of the femicides in Ciudad Juarez, Mexico, The Red Note tells the story of a family who struggles to unravel the mystery of their daughter’s disappearance amid the violence of the country's decades-long drug war. The film will be directed by Craig Whitney and produced by Stephanie Huettner and Jennie Mosley Pope. The Cynosure Screenwriting Competition seeks to to promote scripts with compelling female protagonists and scripts that showcase diversity. Winners of the competition will be announced online on October 21st. 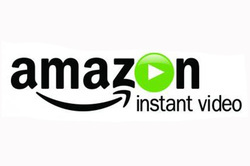 The Garden and the Wilderness is now available for HD and SD download through Amazon Instant Video. This award-winning modern day Western tells the story of Will James, the caretaker of a private Texas hunting ranch, who is faced with tough decisions for himself and his family after he learns that the property he has tended for more than 30 years will be sold following the death of its owner. During its two-year festival run, The Garden and the Wilderness has received numerous awards and screened at more than a dozen film festivals worldwide. In 2013, the film was selected by the Houston Film Commission for its Texas Filmmaker's Showcase program, featuring the year's best short films produced in the state of Texas. The Garden and the Wilderness is also available for download via the iTunes store. Writer and director Craig Whitney sits down with the Lone Holdout podcast to discuss his influence for The Garden and the Wilderness, the world of independent filmmaking, and his upcoming feature film, The Red Note. Lone Holdout is a weekly podcast hosted by Emily Brinkmeyer in which she tries out new things with the help of a special guest and sits down with them to talk about her experiences. New episodes of the Lone Holdout podcast can be downloaded on iTunes, or by visiting: http://redcowentertainment.com/loneholdout/. Thank you to everyone who was in attendance last night for the Mexican premiere of The Garden and the Wilderness at the Golden Egg Film Festival Cancun. For those who were unable to attend, a second screening of the film along with the other award-winning films from the Golden Egg Film Festival Worldwide will take place on May 6 at the Oasis Sens resort in Cancun. The Garden and the Wilderness was awarded the prize for Best Soundtrack at the GEFF's Hollywood screening. The film was also nominated in the categories of Best Short Film, Best Director of a Short Film, and Best Original Screenplay. Fans who are unable to attend this weekend's screening of The Garden and the WIlderness in Cancun can download the film today in HD on the iTunes Store: https://itunes.apple.com/us/movie/the-garden-and-the-wilderness/id816804190.